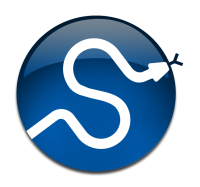 SciPy 2-D sparse matrix package. Original code by Travis Oliphant. Modified and extended by Ed Schofield, Robert Cimrman, and Nathan Bell. To construct a matrix efficiently, use either lil_matrix (recommended) or dok_matrix. The lil_matrix class supports basic slicing and fancy indexing with a similar syntax to NumPy arrays. As illustrated below, the COO format may also be used to efficiently construct matrices. To perform manipulations such as multiplication or inversion, first convert the matrix to either CSC or CSR format. The lil_matrix format is row-based, so conversion to CSR is efficient, whereas conversion to CSC is less so. All conversions among the CSR, CSC, and COO formats are efficient, linear-time operations. Notice that the indices do not need to be sorted. Duplicate (i,j) entries are summed when converting to CSR or CSC. This is useful for constructing finite-element stiffness and mass matrices. CSR column indices are not necessarily sorted. Likewise for CSC row indices. Use the .sorted_indices() and .sort_indices() methods when sorted indices are required (e.g. when passing data to other libraries). coo_matrix(arg1[, shape, dtype, copy]) A sparse matrix in COOrdinate format. dok_matrix(arg1[, shape, dtype, copy]) Dictionary Of Keys based sparse matrix. cs_graph_components(x) Determine connected compoments of a graph stored as a compressed sparse row or column matrix. rand(m, n[, density, format, dtype]) Generate a sparse matrix of the given shape and density with uniformely distributed values. spdiags(data, diags, m, n[, format]) Return a sparse matrix from diagonals.